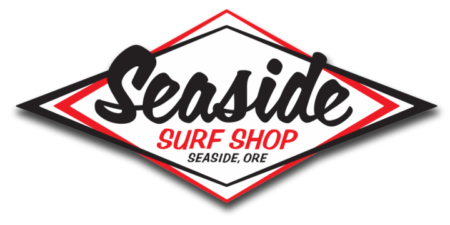 Seaside Surf Shop emerged back in 2003 with a mission: keep the radness in surfing. Having fun is the whole point. No one wins, because there are no points. We love surfing, our lifestyle, and our culture and tradition. As a full-service surf shop, we supply our customers with choice product, with surf knowledge, especially in colder waters, and with stoke. Our customers get all they need, be it in the shop or over the internet, whether they surf or not. Besides a full quiver of boards, from ultra-modern shortboards to classic logs, we’ve got warm wetsuits, surf accessories, and clothes. We also sell skimboards, bodyboards, skateboards, and we rent surf gear year-round. Home for us is the Oregon coast, just northwest of Portland. If you’re in the area stop by the shop, have a coffee, watch a video, tell us good stories and where your secret spots are.